Howl-O-Scream returns for its 18th season in 2017, running 19 select nights from September 22 through October 29. Unlike years past, there is no overarching theme for this year’s event, but the tagline Nowhere to Hide was used heavily in advertising (including the use of #NowhereToHide on social media). A second tagline, Enjoy it While You Last, was also used in advertisements. The event features seven haunted houses, two of which are new for this season. Three new scare zones joined two returning, along with roaming groups of scare actors throughout the park. The popular show Fiends also returned, and a new stage show, Inside Your Mind, featured performances by mentalist Joshua Seth. 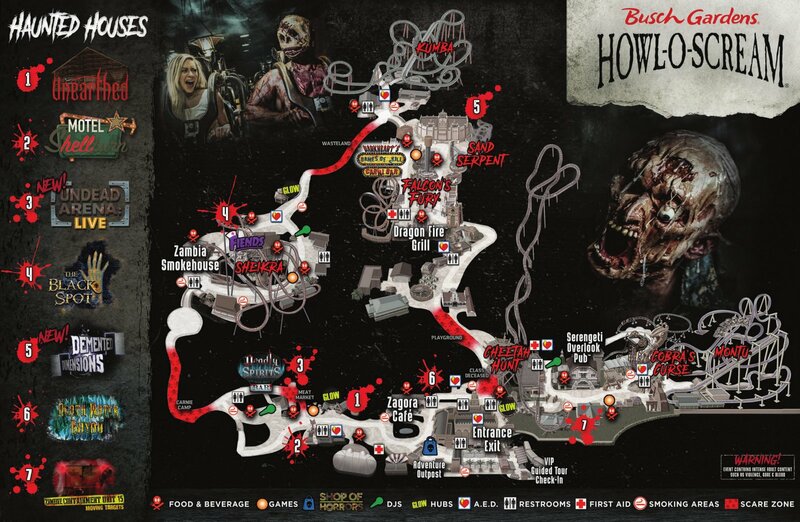 Additional images and information on Howl-O-Scream 2017 will be added in the future.